Please visit www.WhatsNextMiddlesex.org to see the Final Report from the meetings described below. 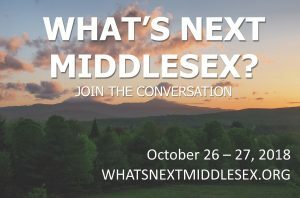 “What’s Next Middlesex?” is a community-wide celebration featuring great food, neighborly conversation, and a chance to share what you love about Middlesex and what you would like to see in the future. Just like your car runs better after a tune-up, our Middlesex community will benefit from this check-in about our shared interests, while jumpstarting efforts to work together on fresh initiatives. Friday, October 26 (5:30-9:00) and Saturday, October 27 (9:00-3:00). Leading up to the October 26-27 weekend, there may be other events such as a village night featuring Middlesex craftspeople and artists, so stay tuned. Everyone! If you live in Middlesex, or work or own property here, you have a stake in our community’s future. Your ideas are vital. Does “What’s Next Middlesex?” tie in with the Fall Harvest Dinner? Yup! 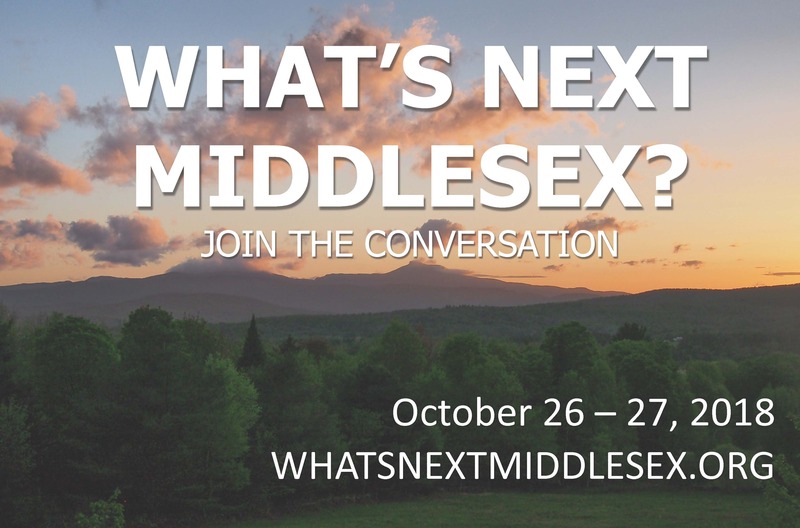 The Friday night kick-off dinner for “What’s Next Middlesex?” will feature the best of Middlesex’s traditional Fall Harvest Dinner—great local food, silent auction, and more. This year, it will be FREE to encourage even better attendance. Free child care too. A volunteer organizing committee includes folks from all parts of town. We thank the Middlesex Selectboard, Planning Commission, Town Meeting Solutions Committee, Rumney School, and a growing number of community organizations and businesses for their support. More volunteers are welcome to help with publicity, food, youth involvement, and more. Your involvement is welcome! You’ll find information, updates, a video, contact links, and some cool Middlesex photos too.